156. ASEAN Pushes Agroforestry | China, eCommerce, Earthworms and Kenya! 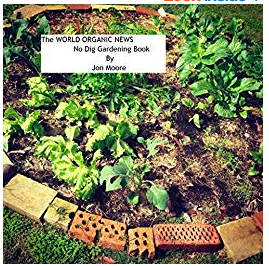 This is the World Organic News for the week ending the 18th of February 2019. We begin this week with something familiar before wandering off into a couple different spaces. From Eurasia Review comes a piece entitled: ASEAN Nations Focus On Agroforestry To Hike Food Output, Ensure Biodiversity Conservation. Which seems like a pretty good summary of the benefits of agroforestry: More food, more biodiversity. In view of the growing global concern on chemical farming degrading land, endangering human health, water and the environment, the Philippines and other Asia-Pacific developing countries are focusing on agroforestry as means of increasing food supply. Agroforestry is the combined sustainable use of land to produce trees, food crops and livestock simultaneously with each supplementing each other in terms of fertilization, feed and forage production, crop protection. This farming system is friendly to the land, water and living things. This is yet another sign which gladdens this cynical old heart of mine. English speaking ex-colonies of the British seem to have drunk the Kool Aid on industrial ag. We have then, through the aid and trade systems, pushed out chemicals to the rest of the world as they were banned in Australia/New Zealand, the US/Canada and more quickly in the EU. To see this piece and the reasons for converting to agroforestry ~ This farming system is friendly to the land, water and living things. ~ which about covers the biosphere. The green shoots of change may well be further advanced than I considered this time last week. People can see, who are on the ground, that things need changing and those people are going around changing those things. We move to an interesting piece from China Dialogue: How e-commerce is reshaping organic farming. Not a specifically agroforestry setup but ~ Black pigs stroll beneath the trees ~ the point of this article is show the growing democratisation, for want of a better word, of direct sales marketing. On display in China with this article but a growing phenomenon across the globe. The online approach, once the underlying infrastructure is in place, is a way to move from commodity to niche product. It allows the producer to set their produce within a story. The end consumer, the person eating the food, is generally, genuinely interested in how your produce is produced and how it arrived on their plates. Selling the organic/regenerative story with the outputs from the farm, or more accurately, imbedding the story in the produce so they are inseparable. This not only tends to bring higher returns to the producer but also helps spread the world in the urban communities you serve. The need to get the word out, at the grassroots level, is really important. With all the nonsense about carbon taxes and removing single use straws and so on when the one truly meaningful thing we can advocate for and do is regenerative. Selling this story with your outputs can only help get the word out and bring change. And following on in our East Asian and Chinese theme so far today we have a piece from XINHUA net entitled: Across China: Earthworms help farmers get rid of poverty. CHONGQING, Feb. 8 (Xinhua) — In a 1,500-square-meter warehouse in southwest China’s Chongqing Municipality, 500 blue boxes each about the size of a TV set stand in lines. Earthworms crawl in the boxes. So roughly 60K US rising to four times that through the wonders of earthworms. The piece goes on to say these worms are fed on dried cow dung and this is then sold on as a soil amendment/fertiliser. The dung had been piling up with all the inherent pollution that comes with that. This is yet another case of reacting to a problem in the Bill Mollison way: Waste is just a resource in the wrong place. And the other idea from permaculture this piece brings up is: You’d don’t have an excess of dung problem you have a shortage of compost worms. It is all about your standpoint. Earthworms are an often neglected part of the ecosystem. They tend to produce a growing medium that’s a little wetter than compost when finished. I prefer the worm casting filled medium to compost as it, and I haven’t had this tested, seems to contain more life than straight compost. And now to piece out of Kenya from the Daily Nation entitled: Don’t burn straw, feed it to earthworms. When bound with the soil, organic carbon improves fertility and erosion resistance. When rice is harvested, the straw left behind is usually burnt, causing the emission of greenhouse gases (carbon dioxide and methane) and black carbon, which has a negative effect on climate. Instead of burning, scientists say that the straw could be fed to earthworms, helping decompose it faster, and enriching the soil with organic matter to increase its fertility in the process. The piece goes on to describe a study conducted across Russian rice farms with little or no earthworm activity and the changes which occured with the introduction of these helpful little critters. The researchers introduced earthworms in confined settings mimicking natural conditions and studied the ratio between the emission of carbon dioxide, methane and organic carbon, and the type of soil, presence of straw and the number of earthworms in it. The researchers found that rice straw increased carbon dioxide emissions by a factor of three, but the ratio between emitted carbon dioxide and the number of earthworms varied depending on the type of soil collected from the different regions. When bound with the soil, organic carbon improves fertility and erosion resistance, but when burnt, it produces carbon dioxide or black carbon. “We’ve found a way to efficiently process rice straw instead of burning it which is currently the most common practice worldwide. “Along with increasing sustainability and climate safety of rice growing, it reduces the risks (for the environment and mankind) associated with agricultural burns as causes of fires and atmospheric pollution, including with carcinogenic substances,” said researcher Andrey Zaitsev. Which brings us back nicely to the agroforestry article we commenced with. The idea with all these little changes people are making across the world, reinstating older practices which didn’t “fit” with industrial agriculture like trees and earthworms. These older practices it might be worth remembering were developed when the only way to increase fertility and production was by working with the natural systems and not thinking we knew better. That hubris has got us to the point where we have twelve years to get it sorted or the “record” heat waves of both hemispheres and the changing, erratic rainfall patterns of the past thirty years will be the new normal. The prediction that Europe will be uninhabitable below the latitude of Paris makes the recent refugee problems from Syria look like a Sunday School picnic. We have the time, we have the technology. The next twelve months will show if we have the will. In the democracies of the world there will be some crucial elections this year where we have the opportunity to seize the future. Let’s hope this is the year the rollback of atmospheric carbon and it reinstatement in the soil actually begins in earnest!